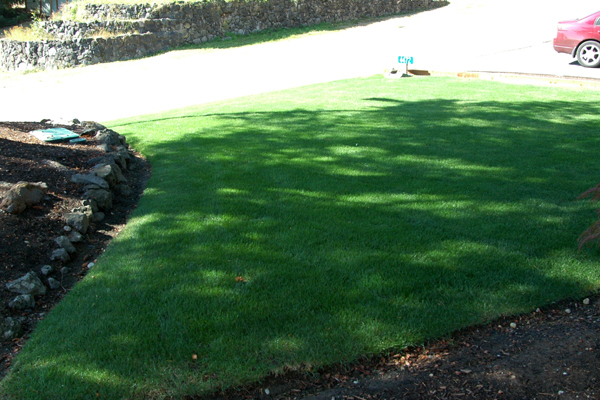 With landscaping projects that we install, it’s often the case that our clients will hire us to maintain their new yard. We love when this happens, as we get to nurture what we created and watch it grow. 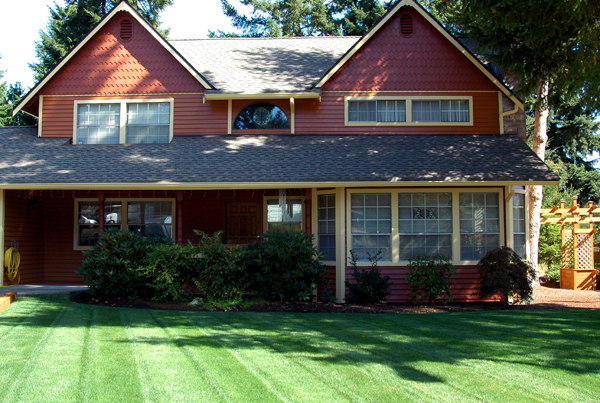 The only people better equipped than us to take care of it are the homeowners themselves, though often they’re just too busy to do so. It’s a win-win situation for everyone involved that we offer both installation and maintenance services. 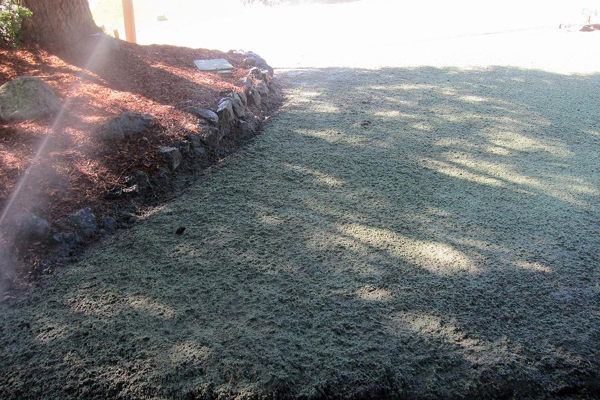 This hydroseed was applied in September of 2010. We also installed the irrigation system you see fired off. Colby and I QC’d this site a few weeks ago when the sun was still out. Here’s what the now two-year-old grass looked like after consistent watering throughout the hottest months of the year, a round of fertilizer, and a fresh mow. 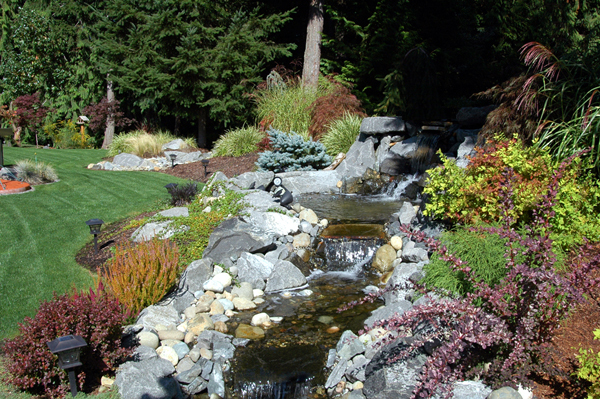 Here’s a glimpse of the backyard water feature we constructed, after a few years of plant growth. Our client wanted a bold color selection to match her fun and lively personality. It may be getting colder outside, but fall is a great time for planting! Call us today for a free landscape design consultation.